The Big Foot Community Fine Arts Foundation, Inc. is a not-for-profit 501(c)(3) organization with the mission to attract and support professional fine art experiences in the Big Foot Community. The BFCFAF is separate from the High School and Recreation District, but works in partnership for the benefit of the community. Please visit www.bigfootfinearts.org for all information about the Foundation, the Performance Season, Mission and Supporting the Arts and more! 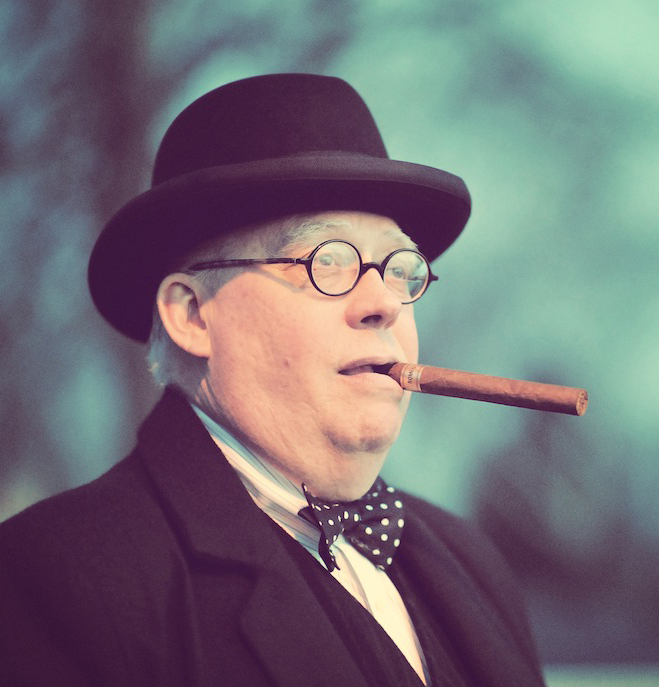 Enjoy a special evening with one of the world's charismatic leaders, Sir Winston Churchill. Randy Otto has carefully honed his humorous, poignant and astonishing relevant theatrical homage to Churchill. "I have heard many people attempt to impersonate the role of my great-grandfather but Randy Otto takes the role to a whole new level. Randy IS Winston Churchill," states Jonathan Sandys, great-grandson of Sir Winston Churchill. 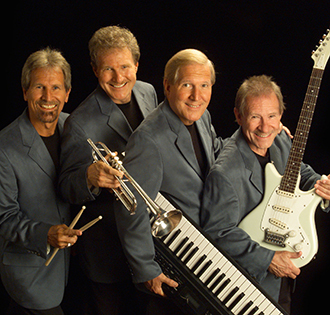 Be prepared for a fun evening great country, rock, big band, popular radio tunes from the 60 & 70's with brothers - Gary, Jace, Rick and Robert! The Marlins have shared the stage with Lee Greenwood, The Smothers Brothers, Randy Travis and more. Their 2012 song, "I Believe in America," is featured at the New York 9/11 Memorial Museum. Fer cryin’ out loud, ya can’t get more Wisconsin than singing, dancing, wise cracking ice fishermen! 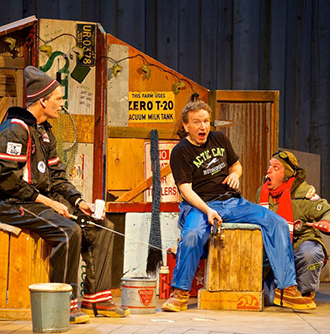 Fred Alley and James Kaplan’s popular musical is set in an ice shanty and features the talented Doug Mancheski and Steve Koehler as Marvin and Lloyd. The buddies ham up the regional accents, delivering songs like “Ode to a Snowmobile Suit” (“From the top of your hat to the tip of your boot, when it’s 30 below, there’s no substitute for the comfort and warmth of your snowmobile suit”). "Jazz Meets Broadway and the Cinema"
Enjoy hip renditions of the popular show tunes and movie themes you know. The talented Chicago Philharmonic musicians will keep you tapping your foot as they perform the hits. 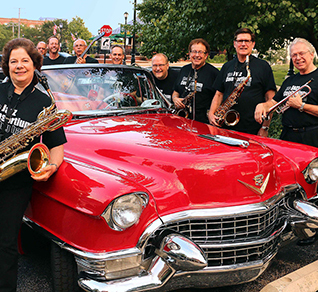 The Jazz Consortium Big Band is a swinging, rocking, roaring 17-piece Chicago big band that celebrates the best Swing and Jazz-Rock big band music that appeals to all ages. 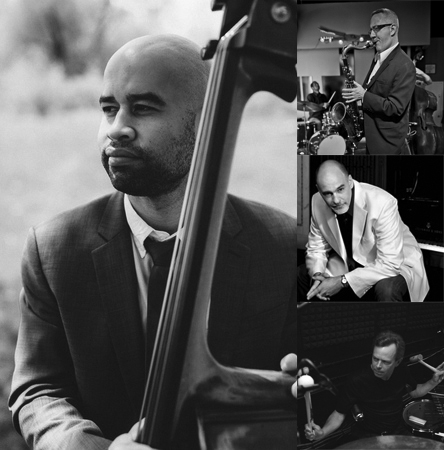 Featuring well-known music from such iconic big bands as Count Basie, Duke Ellington, Benny Goodman and Glenn Miller, and contemporary big bands like Buddy Rich, Maynard Ferguson and Gordon Goodwin, plus original compositions by band members. 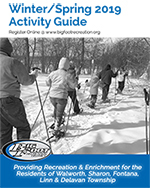 Reserved Tickets may be purchased online, by phone or in person at the Big Foot Recreation Office. Season Tickets are only available by phone and the recreation office. 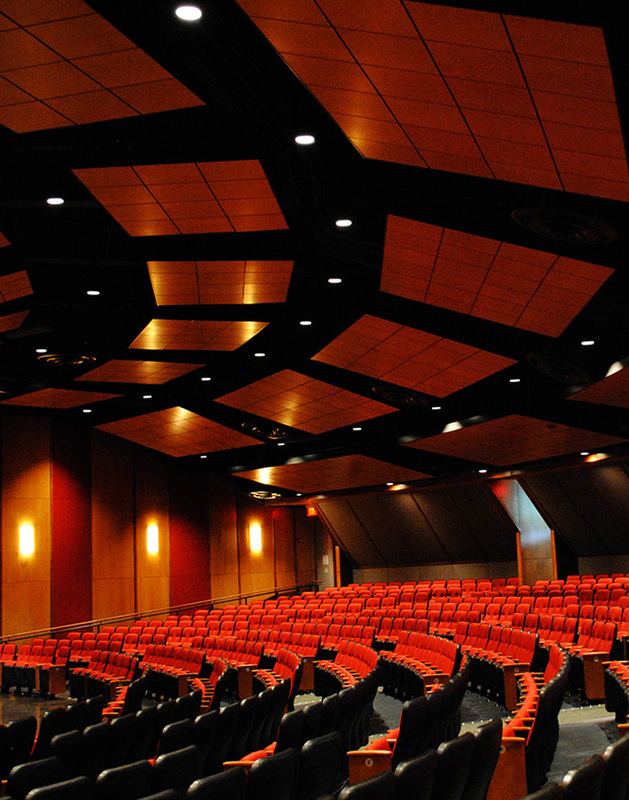 Part of the mission of the Fine Arts Foundation is to provide student exposure to the arts. Each performer is asked to provide an experience for our Big Foot Area students. Below is a list of the student experiences planned for each performance. There will be a youth orientated performance for middle-school on October 5 during the school day. Area schools will be invited to attend. A high school student clinic for band students on April 12 during the day. Select students will be invited to join in a song for the evening performance.